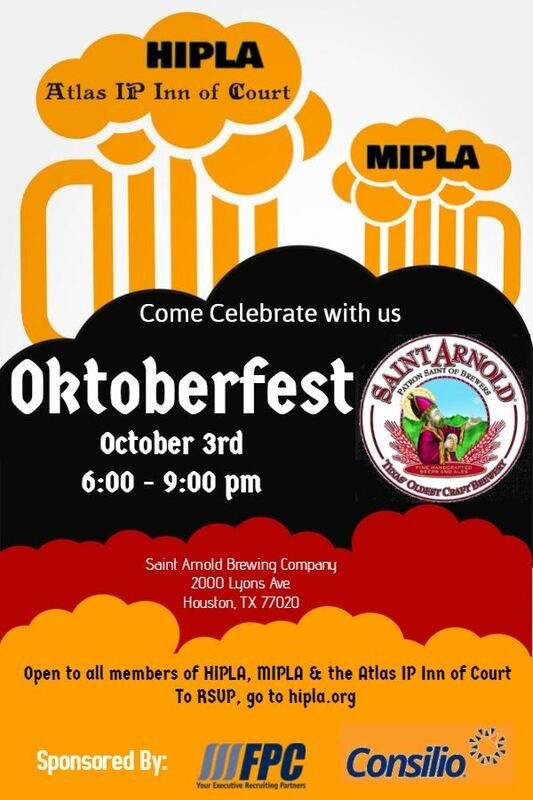 Come join members of HIPLA, MIPLA and the Honorable Nancy F. Atlas IP American Inn of Court for drinks and food at Texas' oldest craft brewery. Ocktoberfest food will be served: Bratwurst, Kiolbasa, Wienerschnitzel, Sauerkraut, Potato salad, Red cabbage, Pretzels and grainy mustard. The first 40 people at the happy hour get a free Saint Arnolds beer glass!